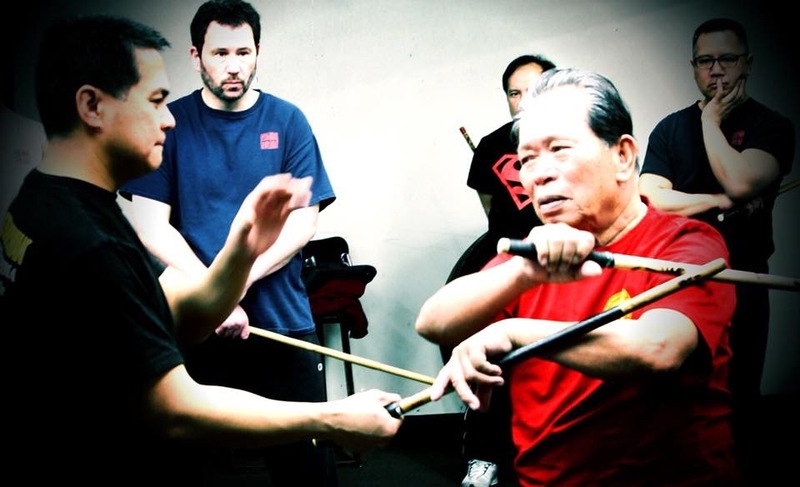 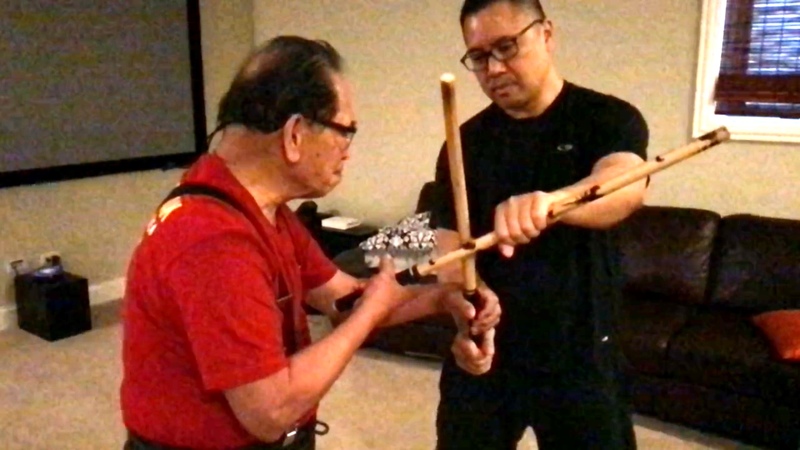 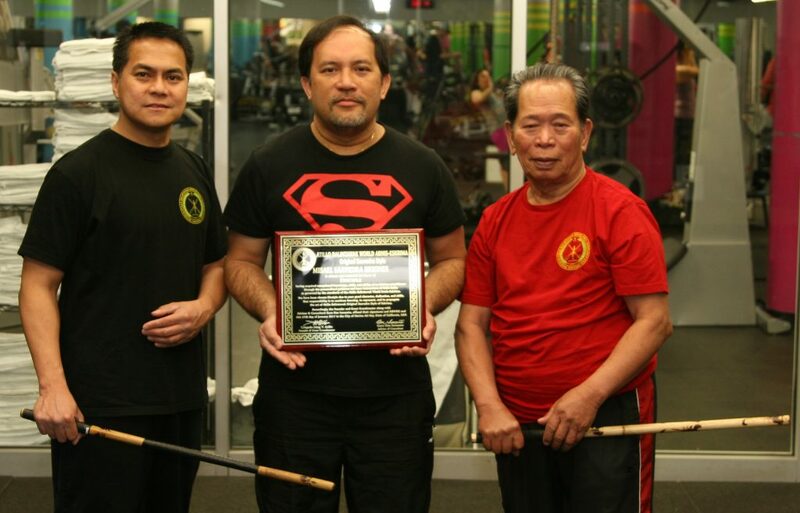 Great Grandmaster Crispulo Atillo and Master Derrick Dalan of Atillo Balintawak World Arnis-Eskrima Original Saavedra Style (http://atillobalintawak.com/) will be in Chicago on Jan 13, 2018 to teach a seminar at Wing Tsun Kwoon on the Filipino Martial Art of Atillo Balintawak Eskrima. 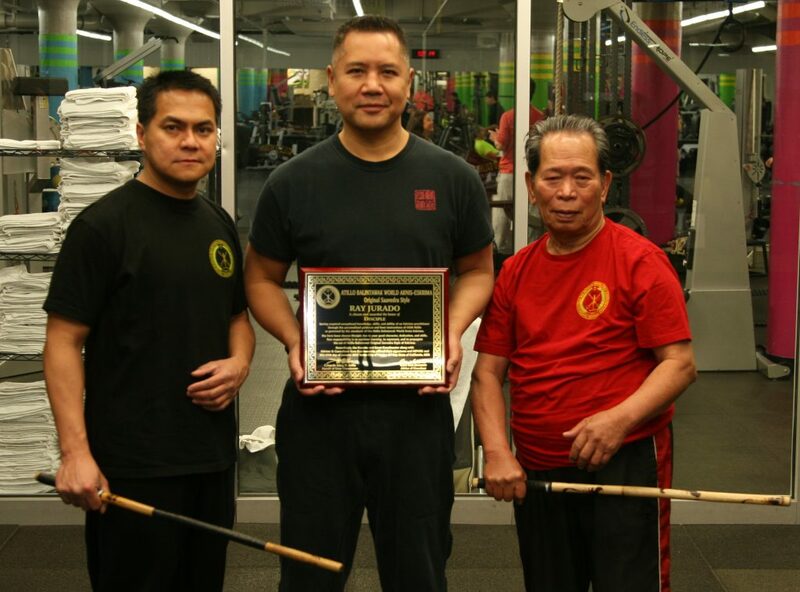 Don’t miss the chance to meet and train with the living legend GGM Atillo who is the only remaining original member of both the Doce Pares Club (2nd Generation) and Balintawak Self-Defense Club (1st Generation)! 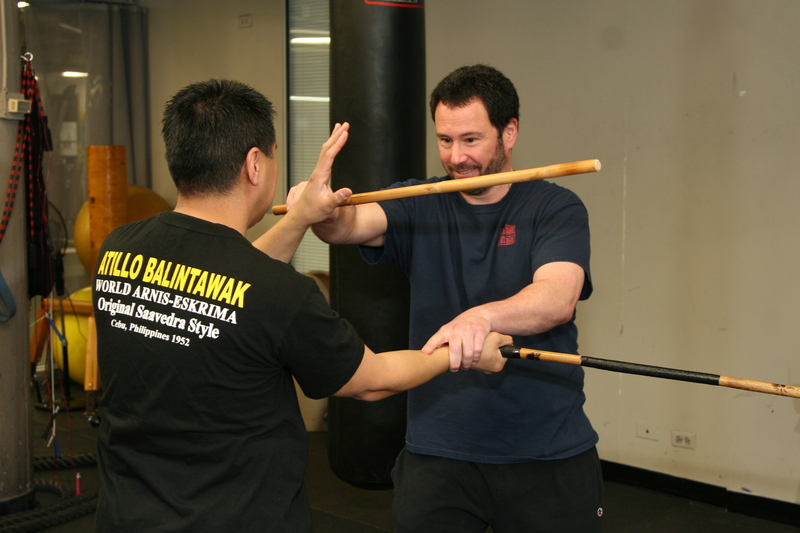 His seminars are tremendously popular and draw martial artists from all over the world and of all levels and styles. 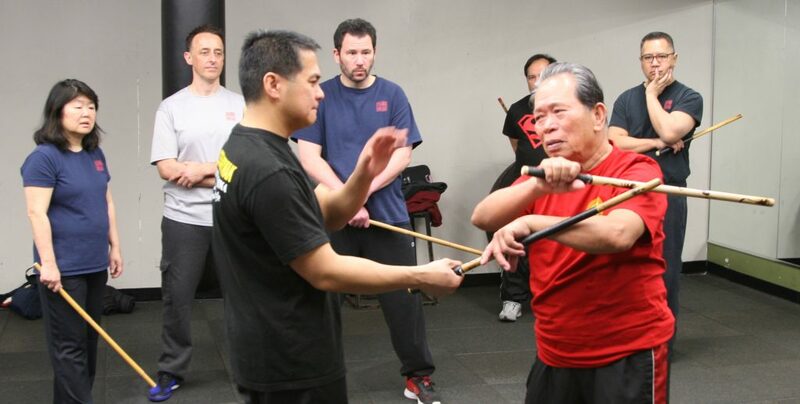 We will also have Master Derrick Dalan facilitating the seminar. 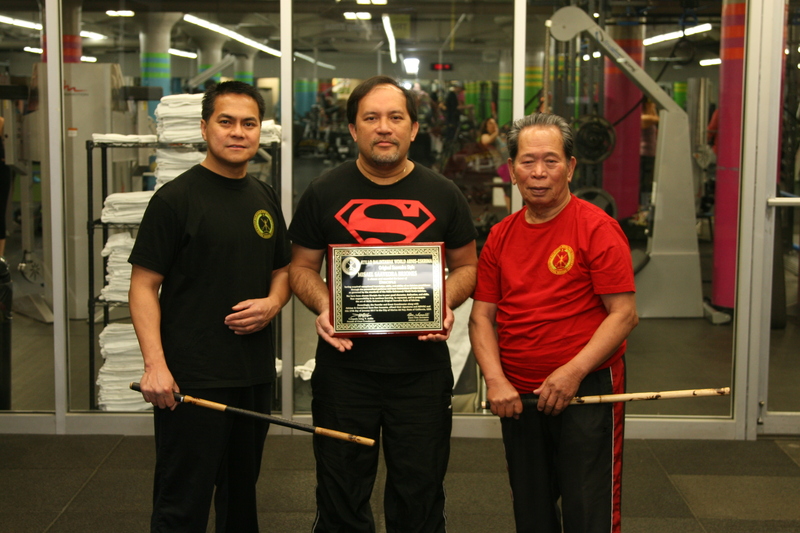 Master Dalan is GGM Atillo’s right-hand man and has been training with GGM Atillo for several years. 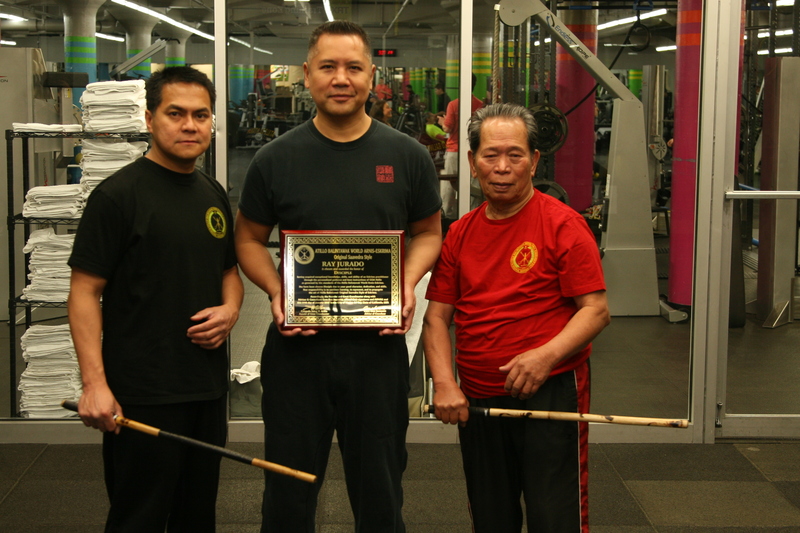 He is GGM Atillo’s best student and Successor Disciple! 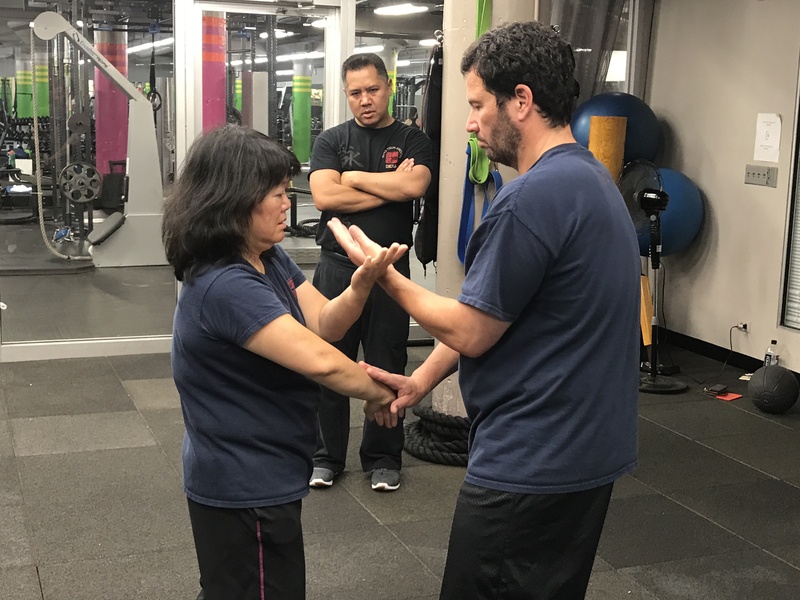 Note: The last day to get advanced registration pricing is January 5, 2018! 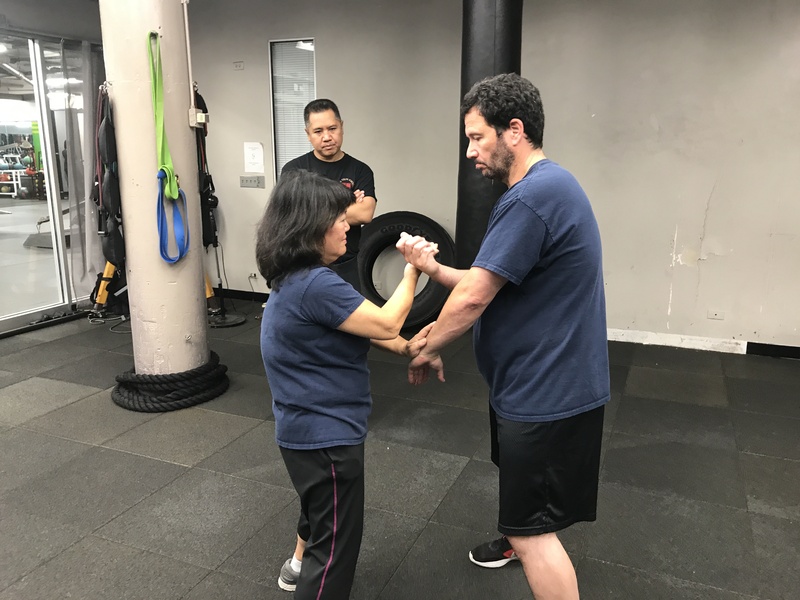 There is limited space available (only 20)! 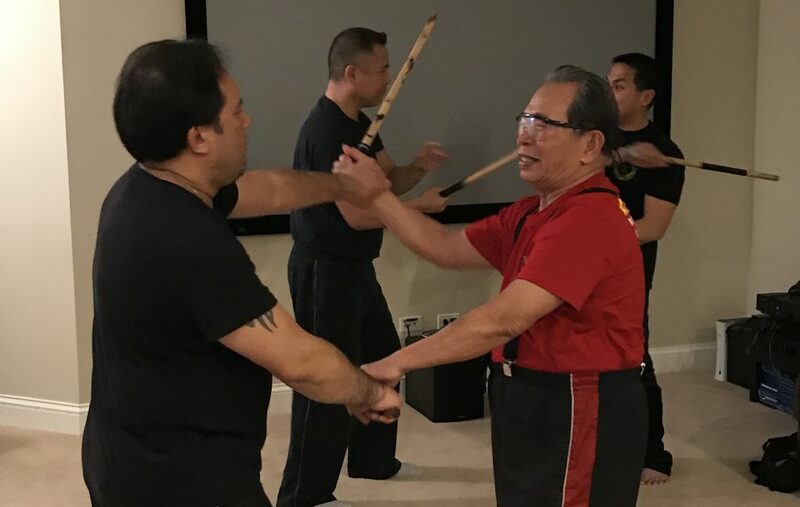 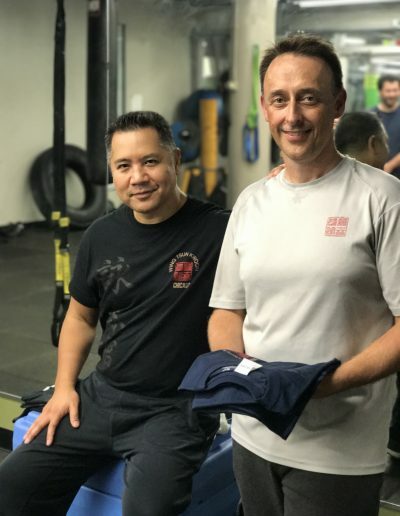 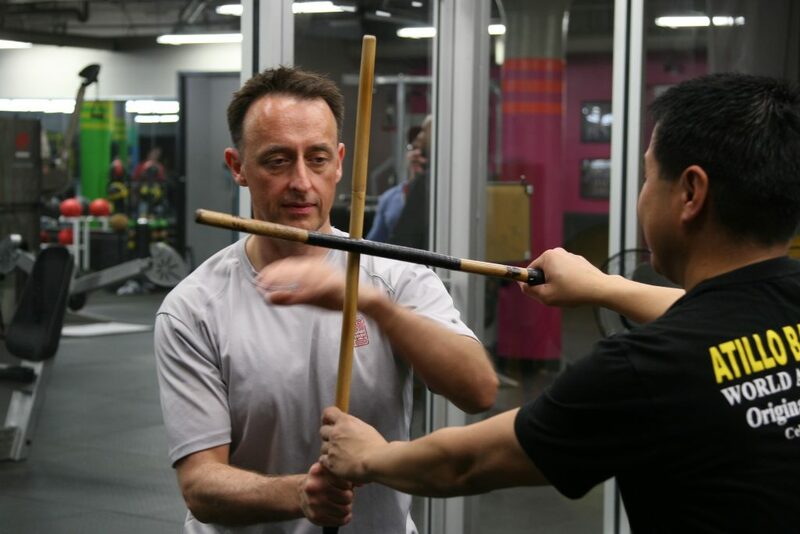 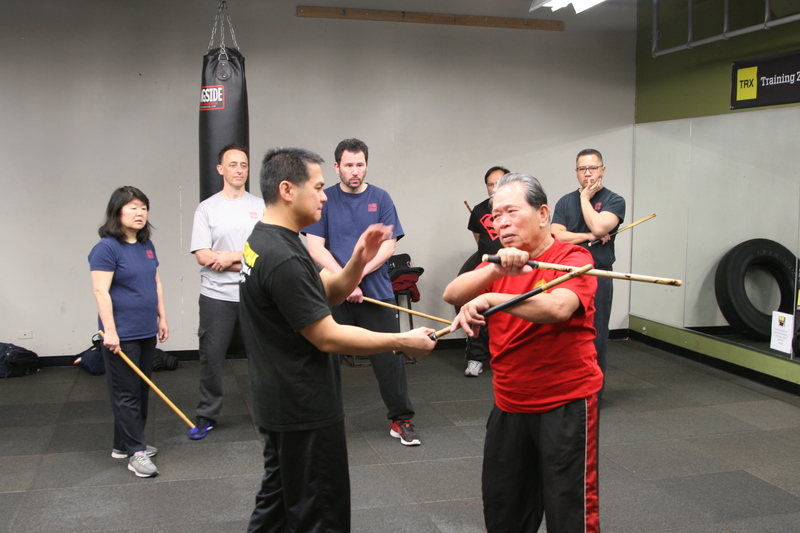 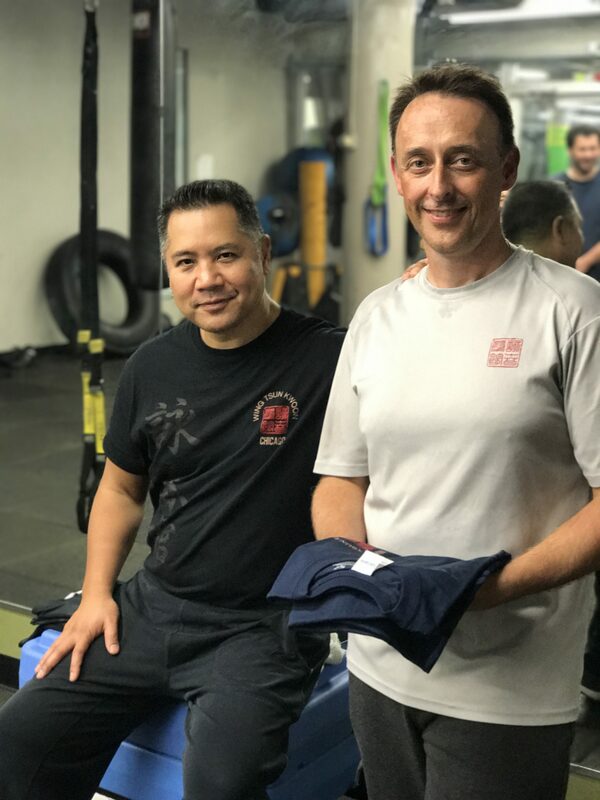 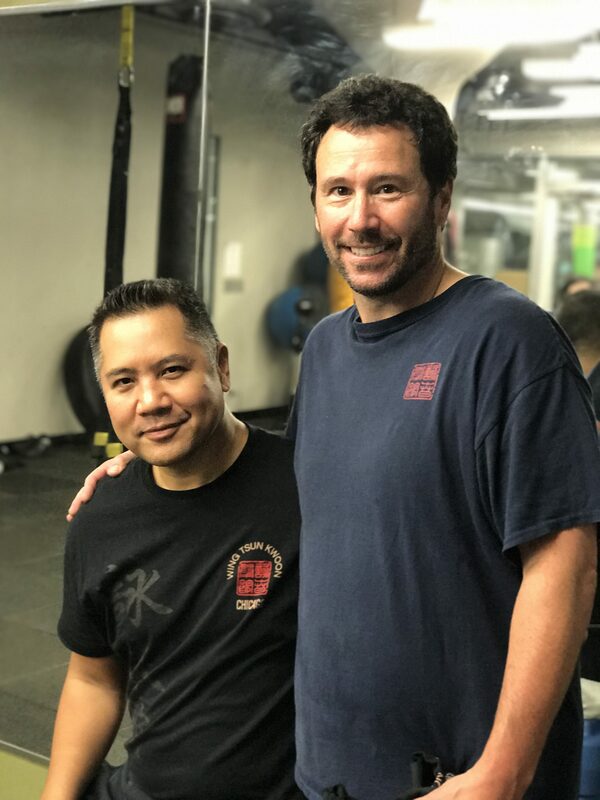 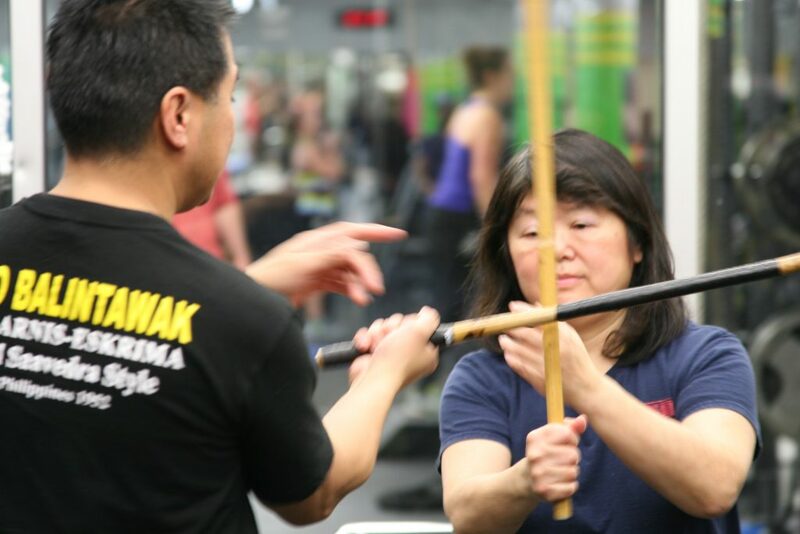 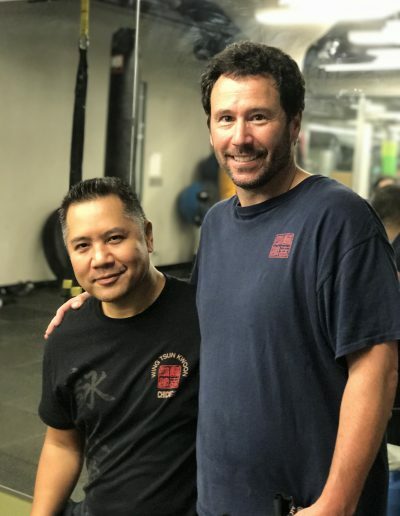 Register today and experience first-hand GGM Atillo’s unique style of Eskrima! 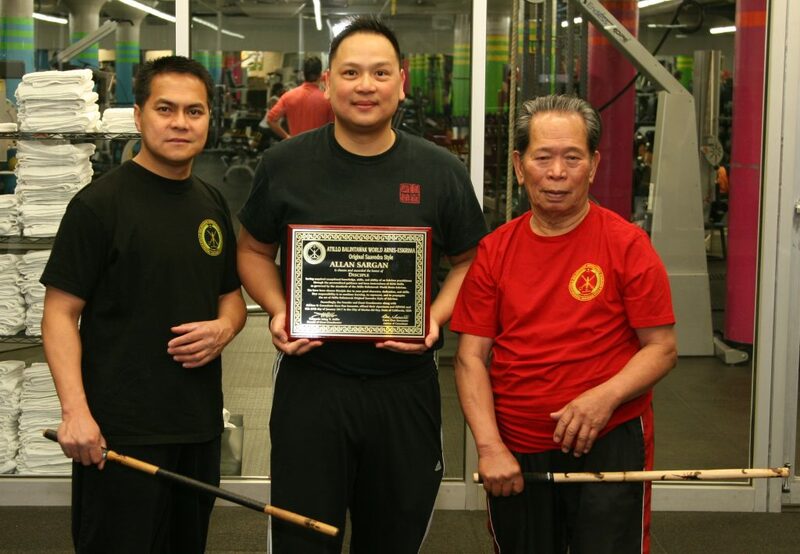 We are really proud of all of our members. 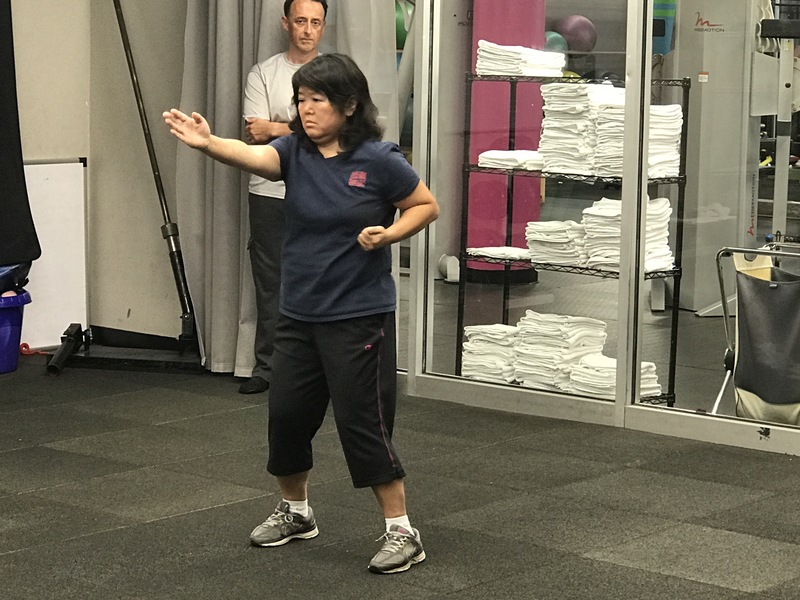 They have put a lot of time and hard work into their training and it showed during their test on 24 Aug 2017. 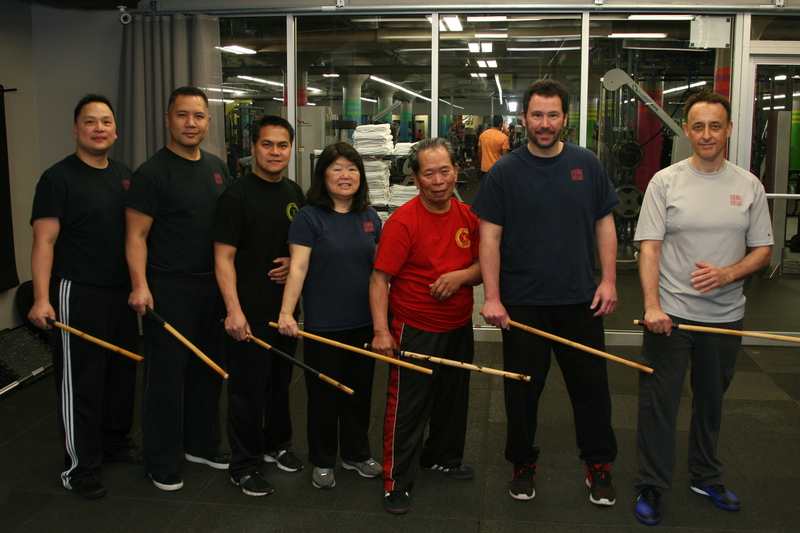 Congratulations to Julie, Randy and Ian for passing all of the requirements for their grade levels! 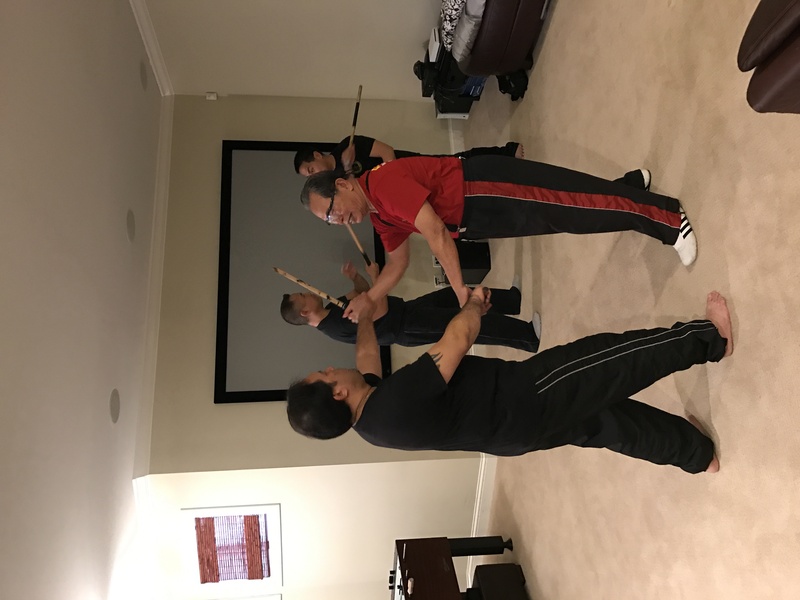 There are several parts of the WTK test and each part has a set of requirements that the members need to meet in order to move forward to the next grade level. 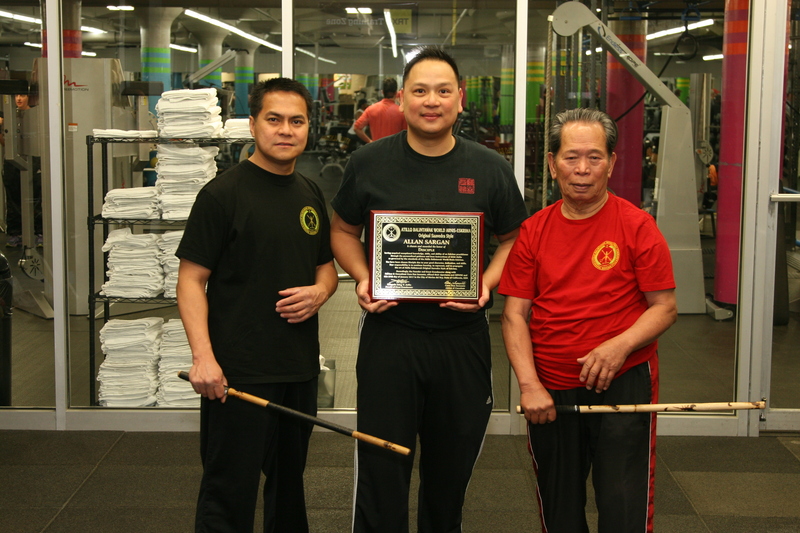 We presented our members their Rank Certificates and the new WTK Shirts! 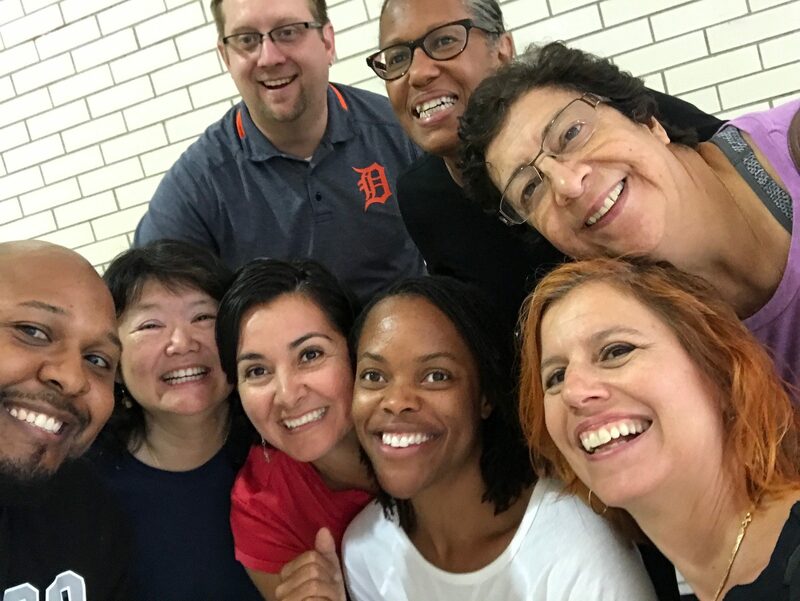 We are very grateful to be on this WT journey together! 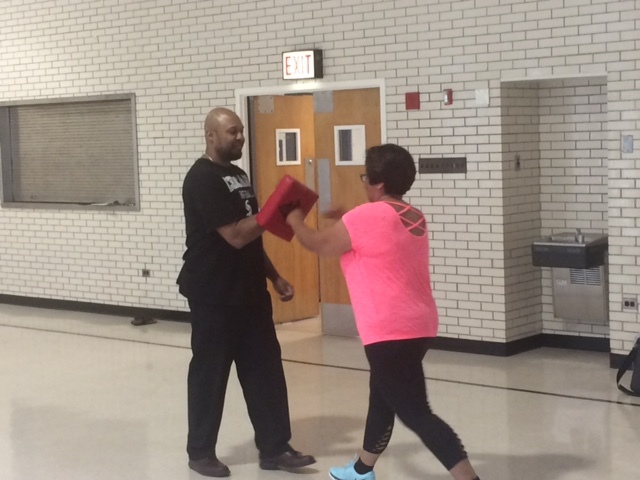 What do women want to learn from a self-defense class? 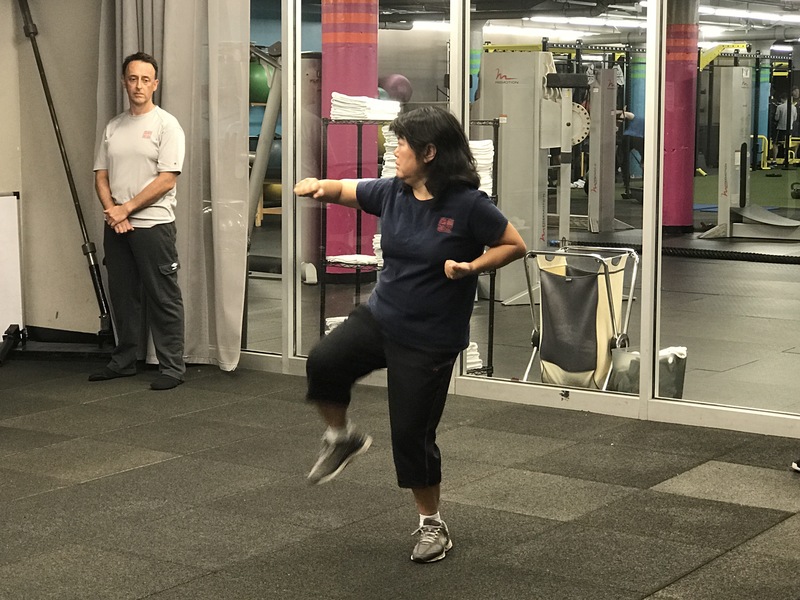 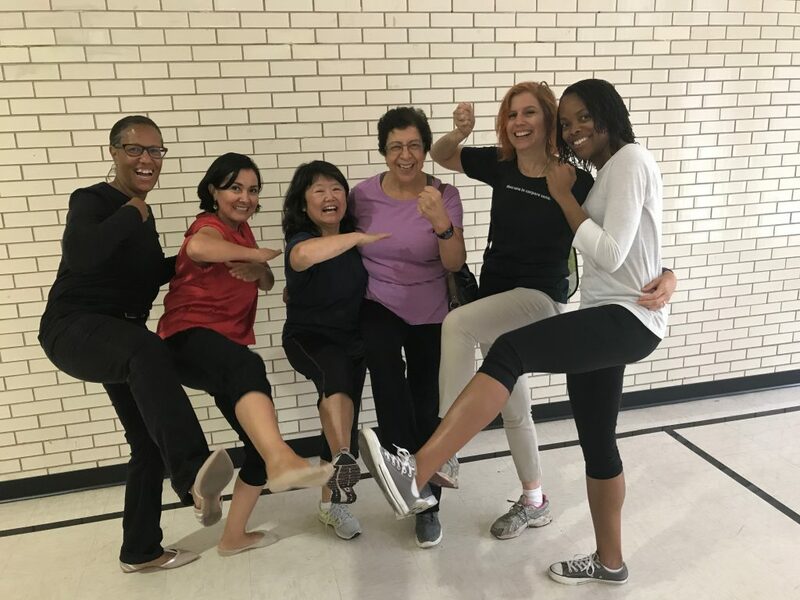 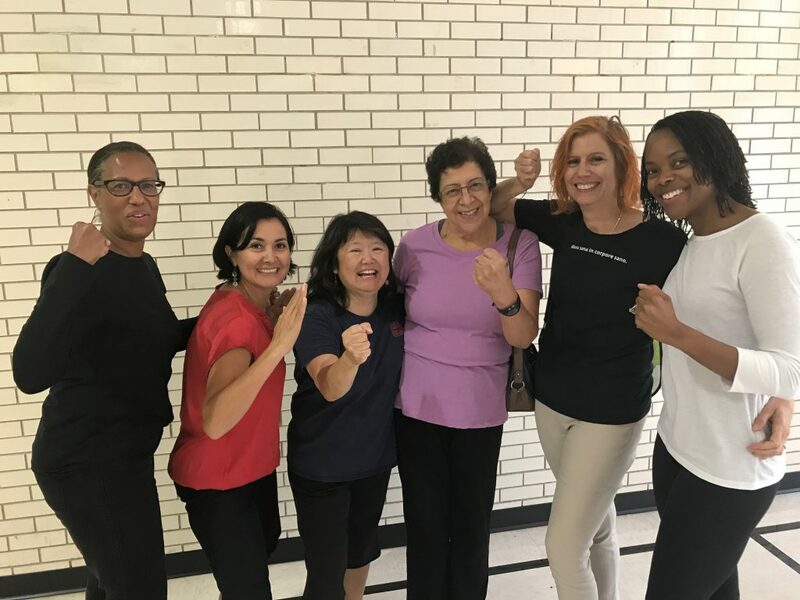 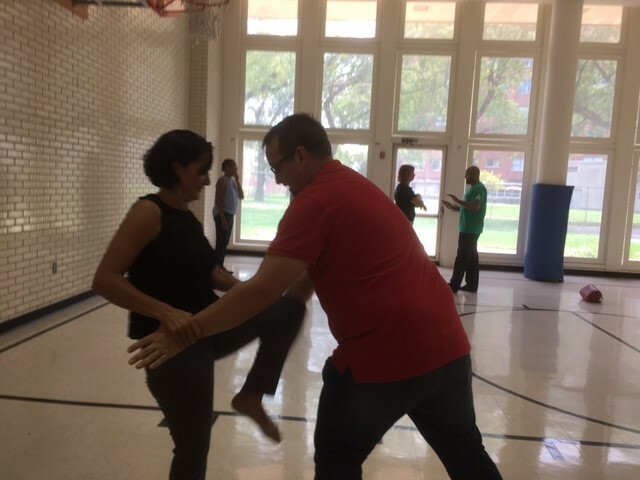 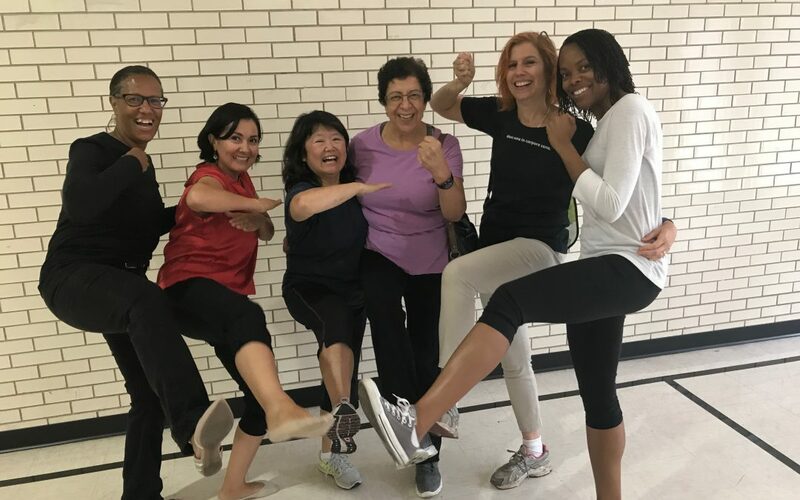 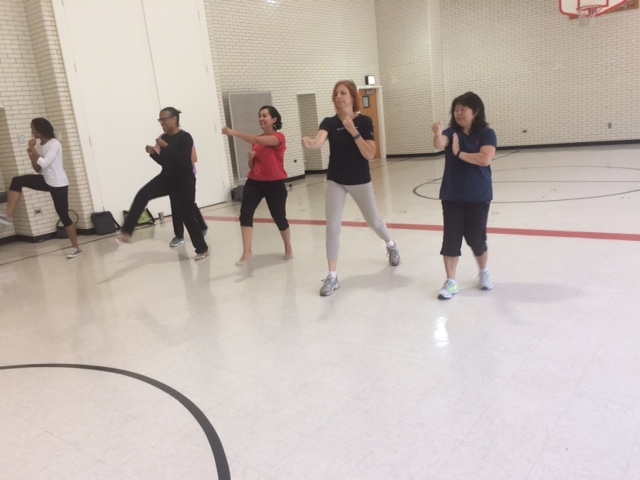 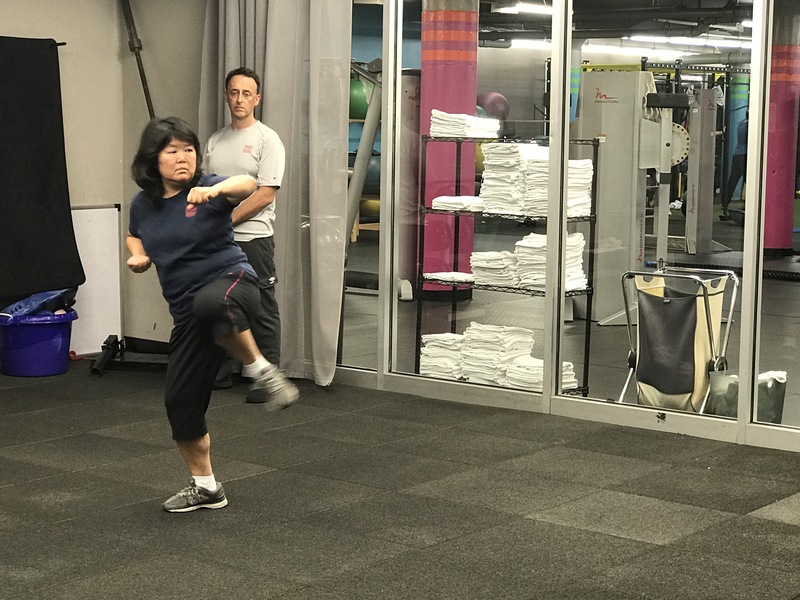 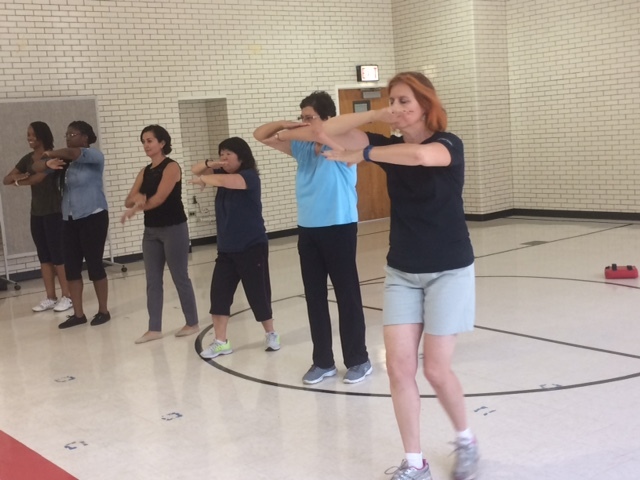 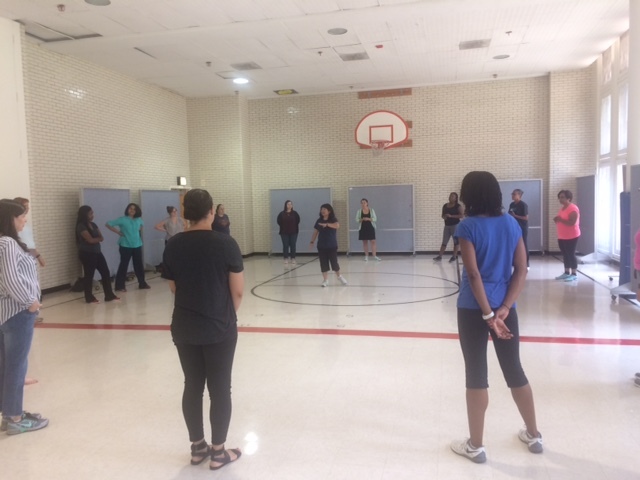 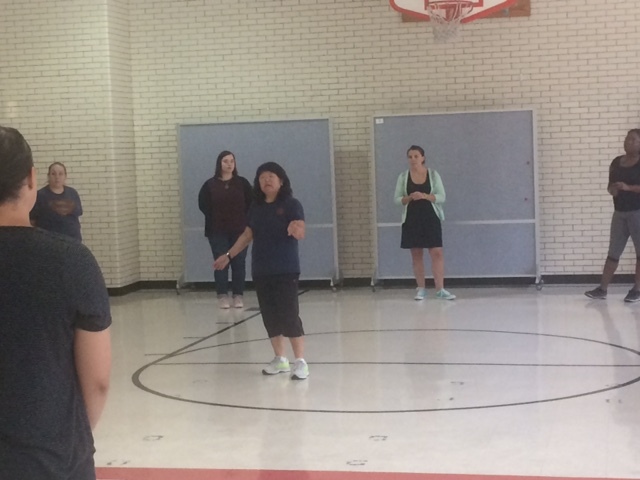 Over the course of three weeks in our Take Control: Women’s Self-Defense Program, women learned just to do that as part of a wellness-sponsored activity from the University of Illinois at Chicago, School of Public Health. 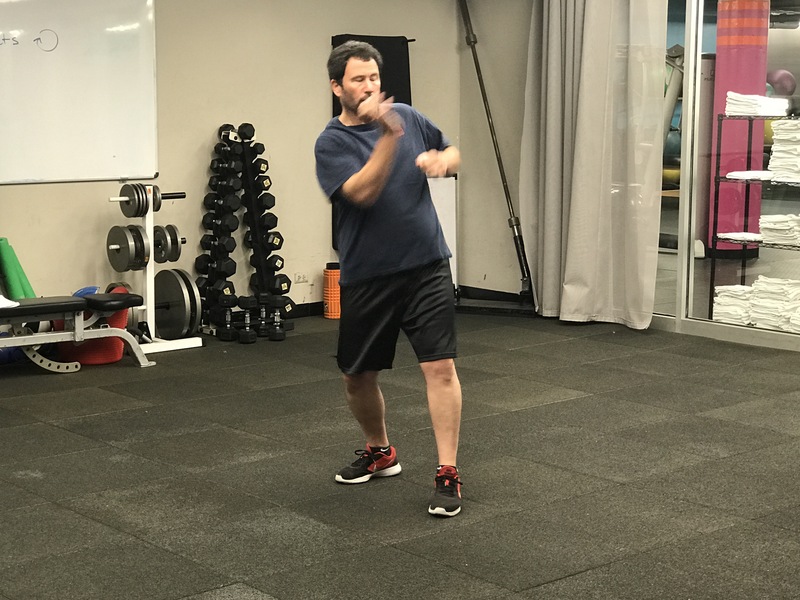 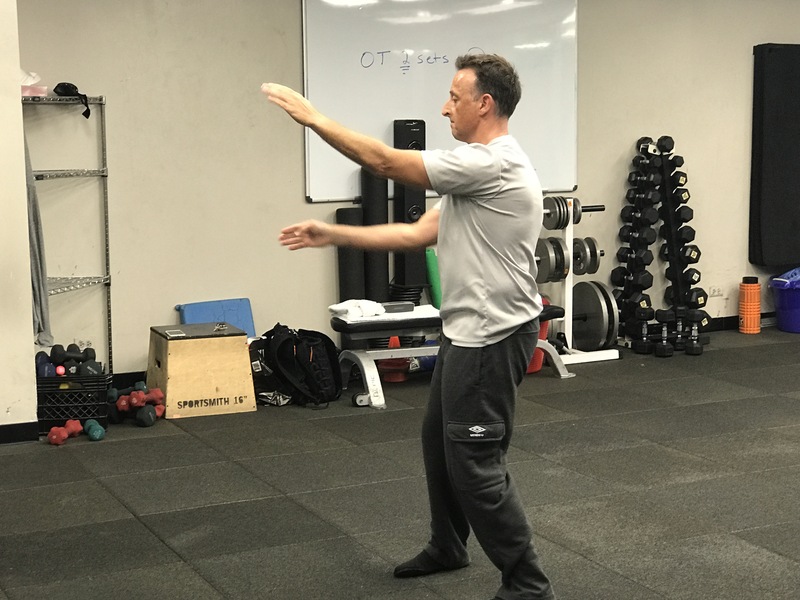 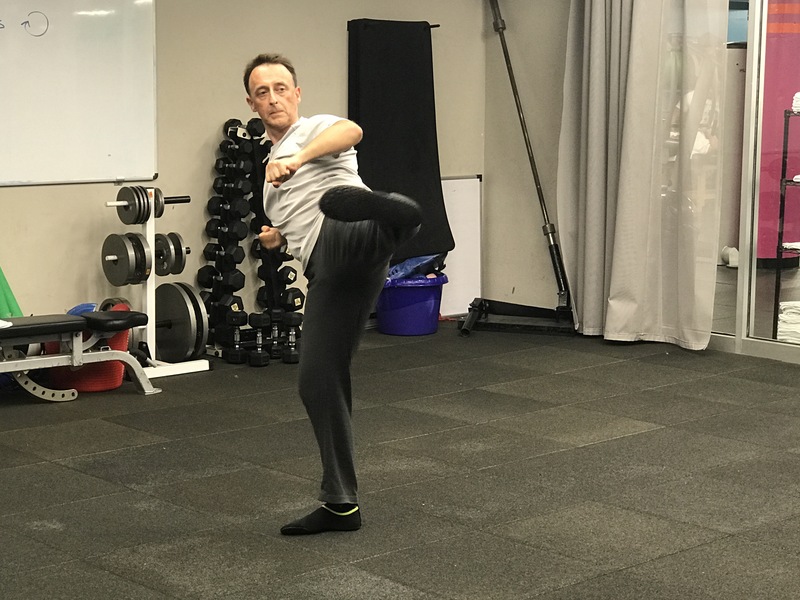 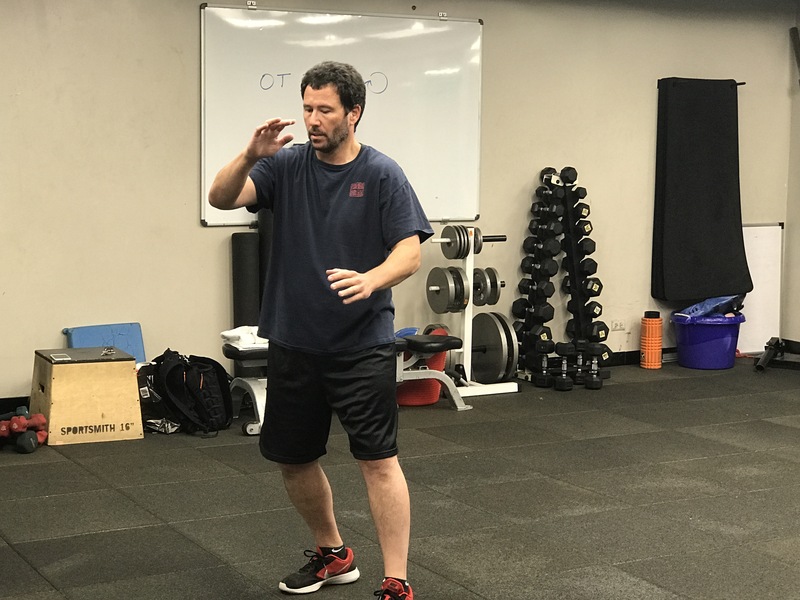 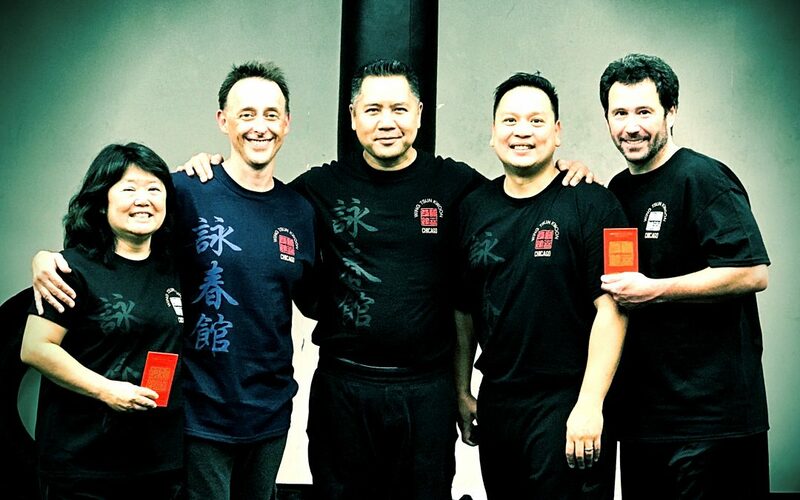 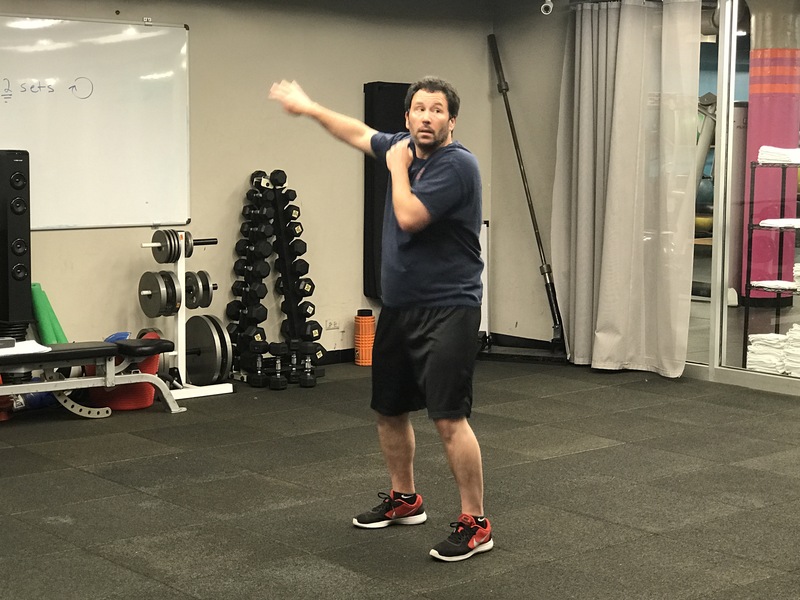 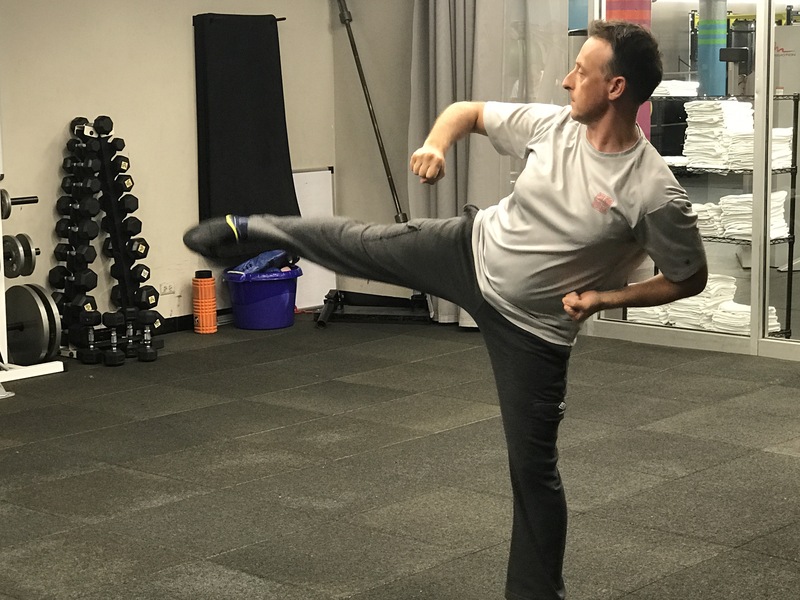 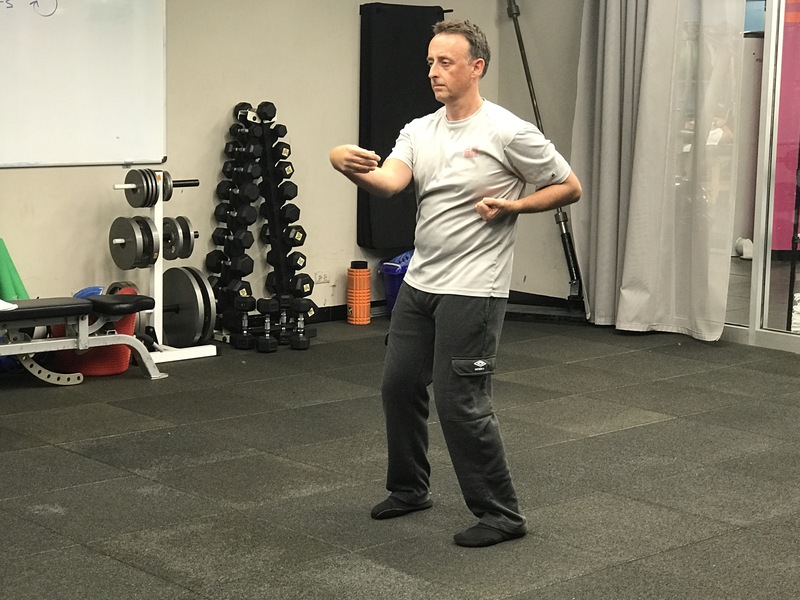 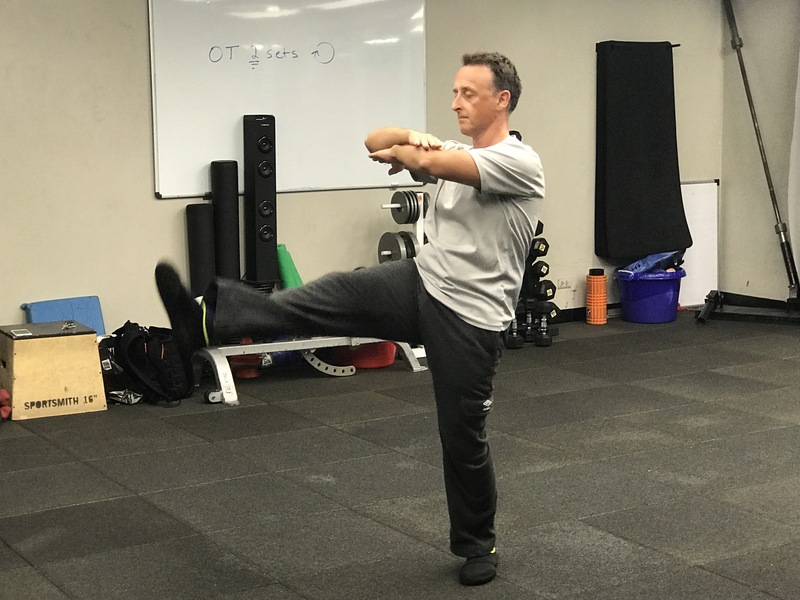 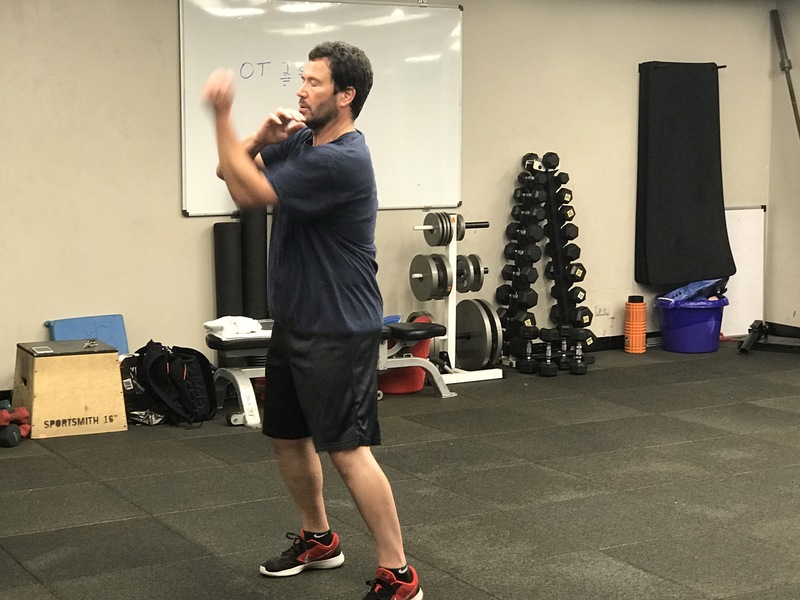 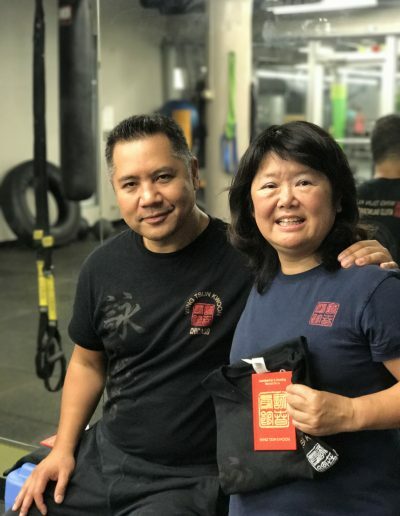 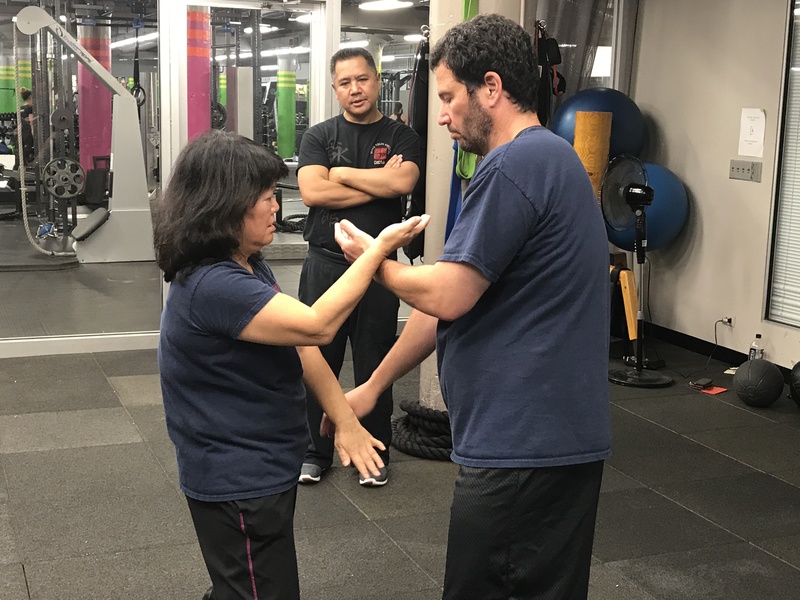 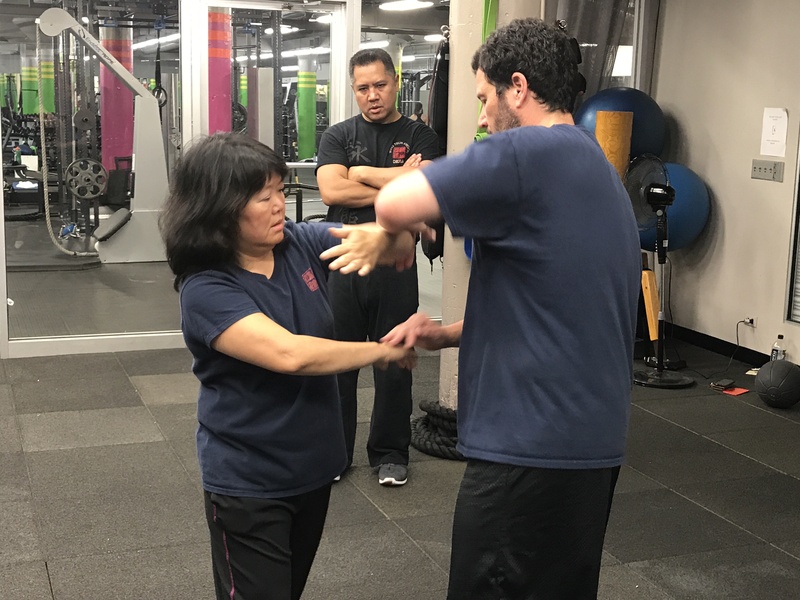 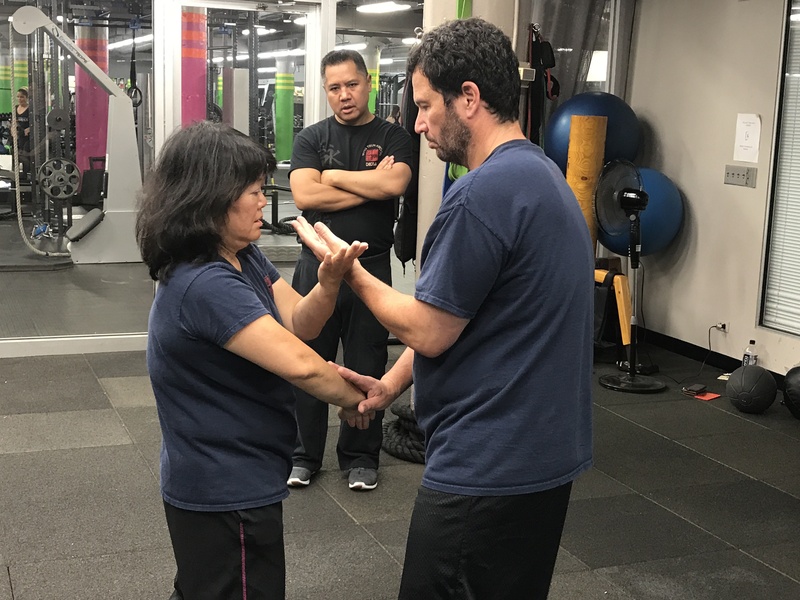 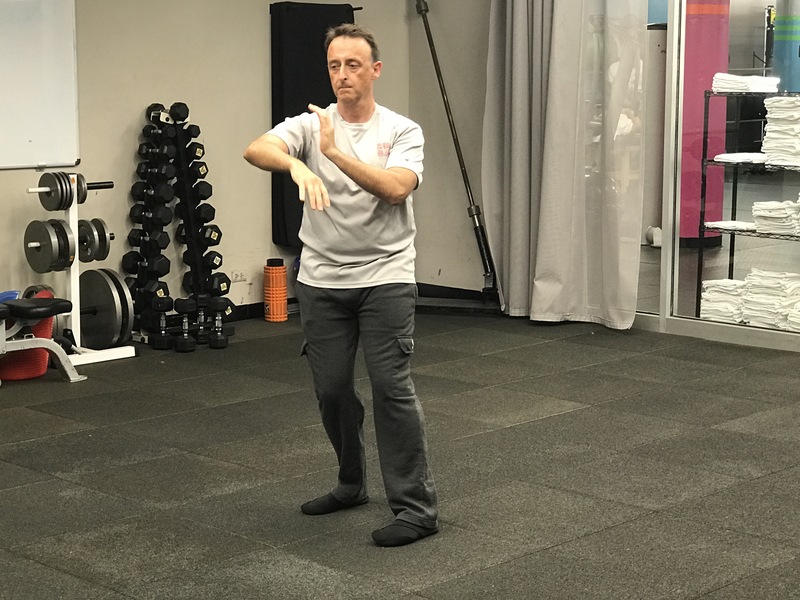 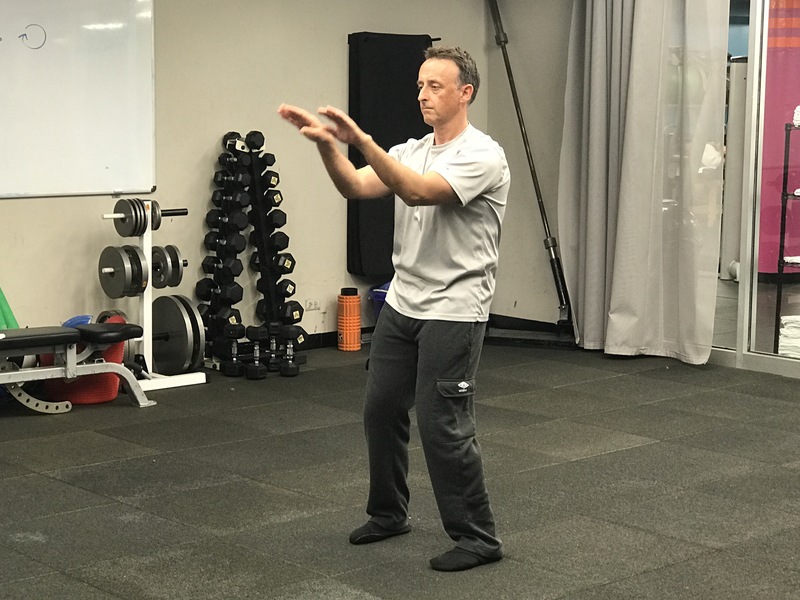 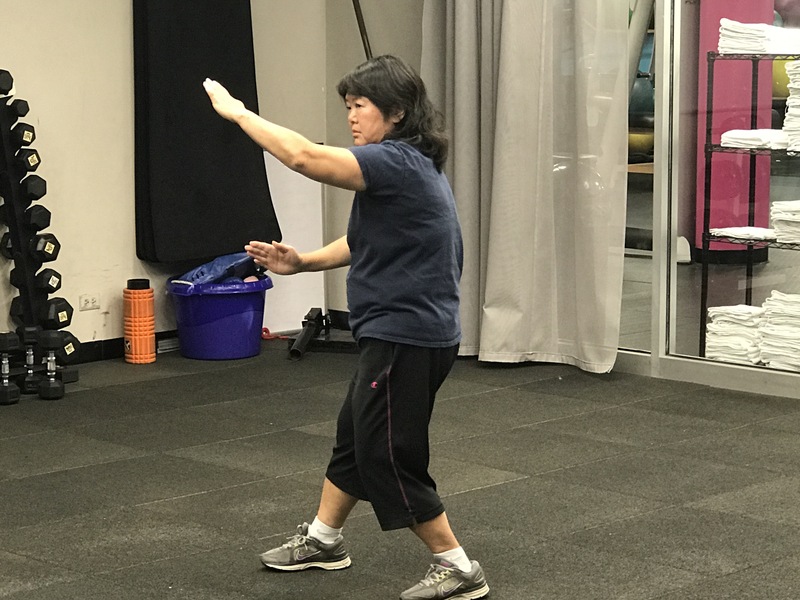 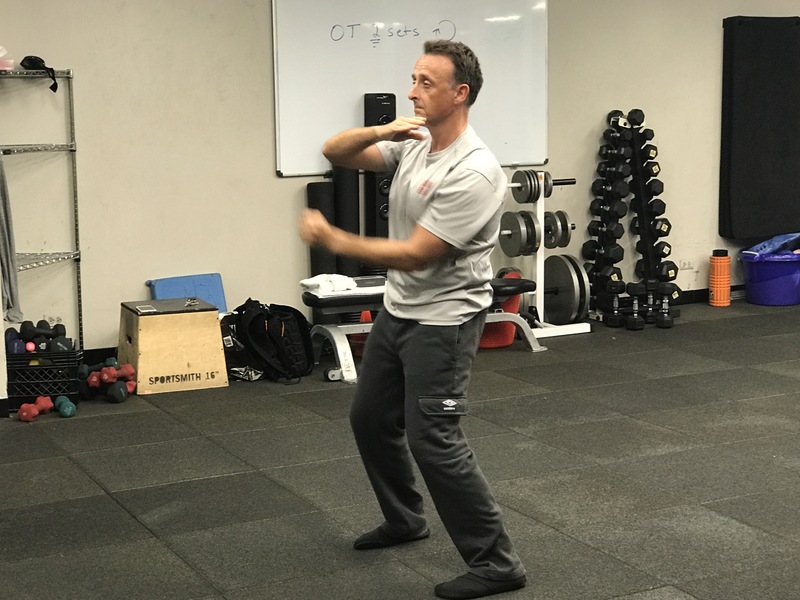 Using the principles of Wing Tsun, women practiced over and over, how to punch with vertical fists, defend themselves with lan sau followed by elbow hits, do a front kick, and apply tan sau and jum sau to protect themselves. 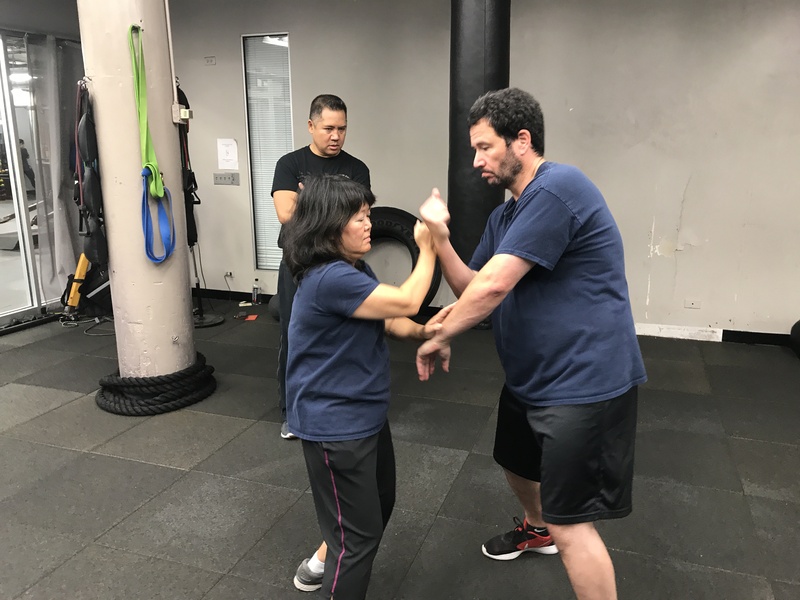 Women had “aha” moments such as using one’s “gut” to react if someone enters the boundary of one’s personal space and what can be done to pre-empt a hit. 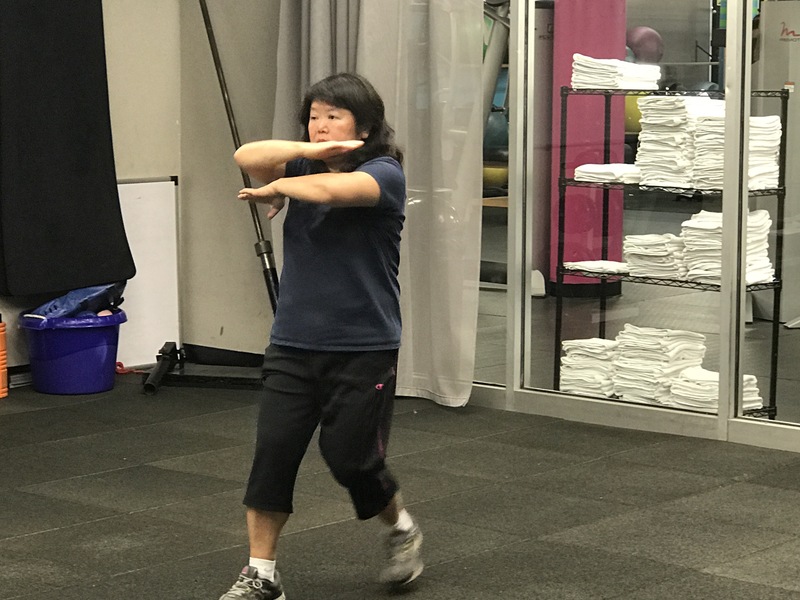 Women were also enlightened to the concept of moving forward if the way is free and facing one’s opponent instead of pulling away. 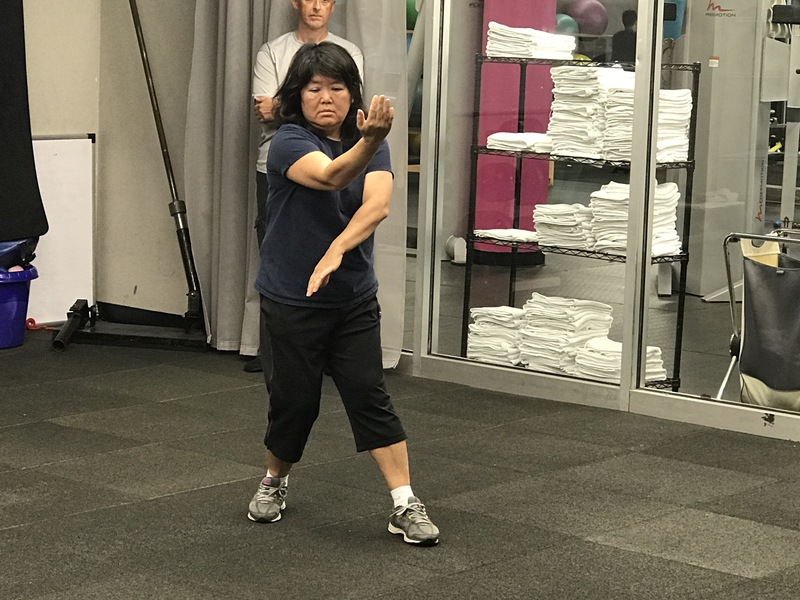 Most importantly, the best take-away for the women was they now had the option to think, plan, and react if necessary and BE in control.